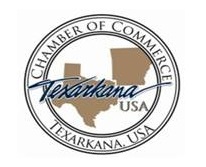 Texarkana Chamber of Commerce is pleased to announce that the 2019 directories are now available free of cost. If you would like a copy of this comprehensive publication, please visit the Chamber office at 819 N. State Line Ave., Texarkana, Texas or call 903-792-7191. The publication is distributed across the region and beyond as an economic and tourism piece. The vibrant colors and bold fonts draw in the reader’s attention. Entertaining articles included in the publication are “Four States Famous,” a photograph listing of people from our region that have gone on to make a name for themselves, and a list of tourist attractions for visitors and locals to see. Pictured on the cover is the iconic Texarkana water tower sitting on I-30, just west of State Line. It is the gateway to Texarkana if you’re traveling through town by interstate. Jeremy Higginbotham of Workhorse Marketing in Texarkana provided the cover photo. If you are a member and interested in sponsorship opportunities for the 2020 publication, please contact Natalie Haywood at nhaywood@texarkana.org or call 903-792-7191. The deadline to reserve space will be mid-November 2019.